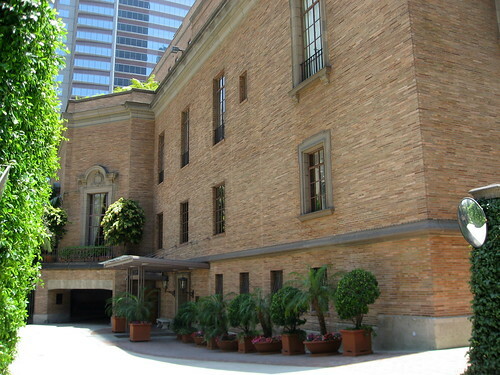 The California Club moved into this building, its fourth home, in 1930. 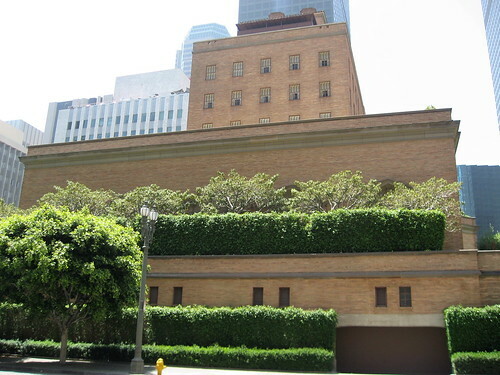 Founded in 1887, the California Club is a private social club. The only way you can become a member is by invitation (I check my mailbox every day…. still waiting). Women were admitted only beginning in 1987, meaning for a full century the men didn’t have to worry about putting the seat down. But times change. Times change. 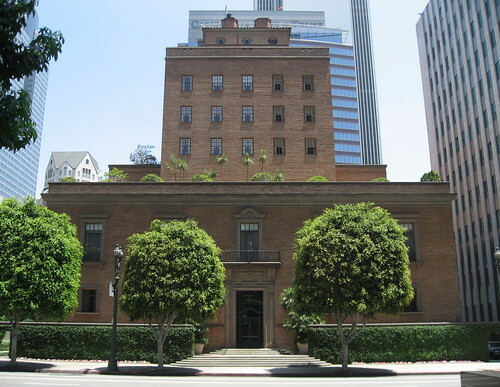 Robert D. Farquhar designed the Renaissance Revival/Beaux Arts building, and, according to David L. Clark’s A History of the California Club, 1887-1987, he (Farquhar, not Clark) won a Distinguished Honor Award from the AIA, the American Institute of Architects, for his design. 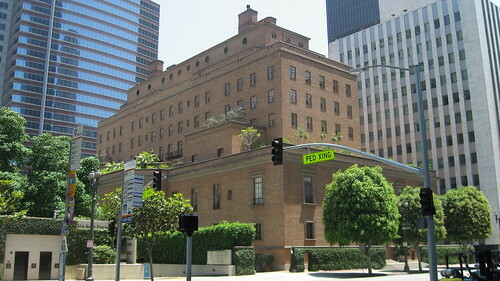 Farquhar also designed Beverly Hills High and HCM No. 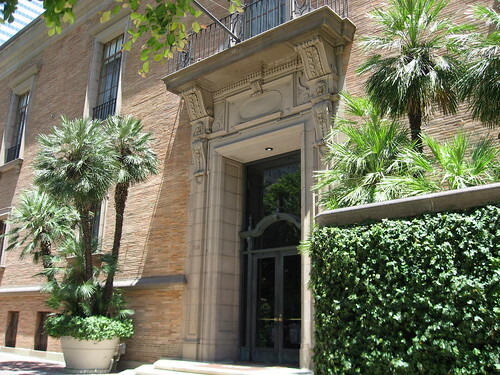 28, the Williams Andrew Clark Memorial Library. 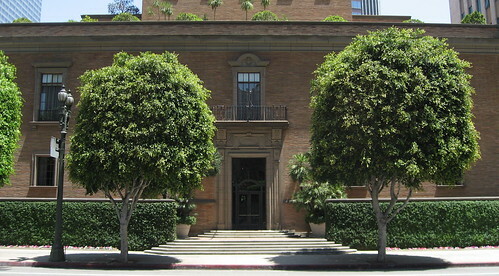 The back - southeast - side of the California Club. 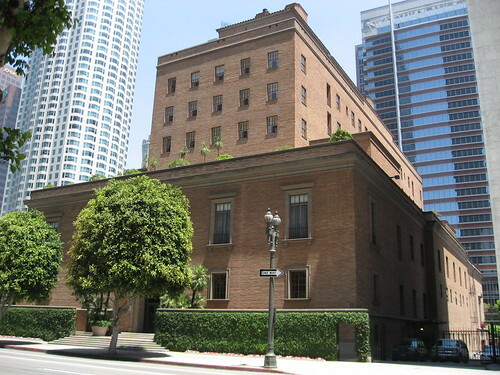 A brief Los Angeles Times article on August 26, 1930, reported there was no formal ceremony when the building was first occupied the day before ("in sharp contrast to the pretentious quarters'"). The same piece also states the structure cost $3,250,000 and that membership was limited to 1,000. See if you can spot the yellow-green PED XING sign. It's kind of subtle. Just a heads up – when you do become a member, make sure you’re acquainted with the dress code. Is that what this building is! All these years and I've wondered as I've walked or driven by. Thank you, Floyd! Found you via lacitynerd, This is a very beautiful and large building sometimes underlooked due to being in the middle of the Standard and the LA Lib. I knew it was some sort of member only club but that was abou it. My brother is the manager at this club. It's nice inside but it is very private. Yes, but those walls have been torn down just like most of the other pointless rules. Now we can all join, white, black, hispanic, female, regardless of religion. 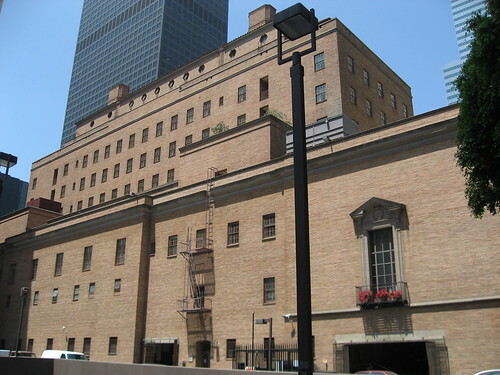 I have been there as a guest many times in the 11 years that I have spent working DTLA.